The Welsh and Cornish coasts could have winds of 55mph, while along the coast of southern England, gusts may reach 50mph, it added. The Met Office has issued severe wind warnings for Northern Ireland and Scotland on Friday, with the warning extending to parts of England early on Saturday. Two severe weather warnings for strong winds have been issued by the Met Office as Storm Erik closes in on Ireland. A status orange weather warning is in effect for Glway, Mayo, and Donegal as Met Eireann warns that Storm Erik could bring winds of up to 130km/hr, possibly stronger on exposed coast. People are advised to avoid exposed coastal walks and to take precautions with property, boats etc. Storm Erik is set to bring strong gusts and heavy rain to the United Kingdom, as the weekend gets off to a wet and windy start. 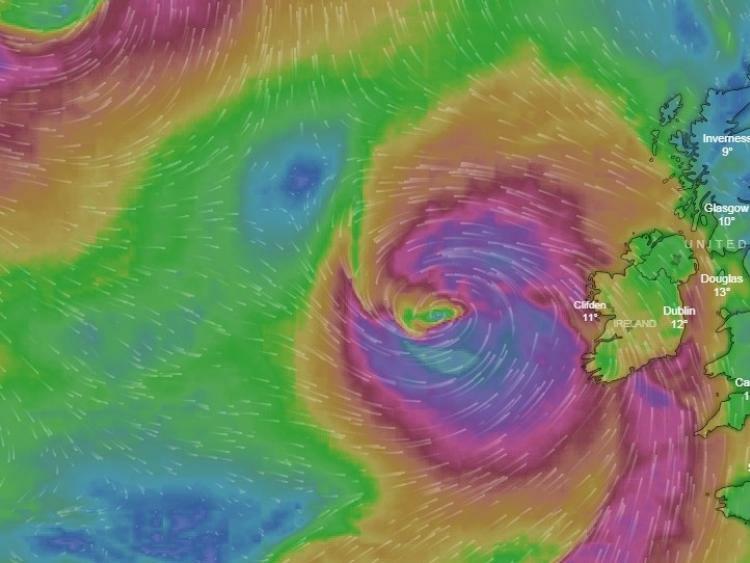 "Erik will bring very windy conditions for much of the British Isles and NW Europe through Friday and Saturday..."
The Met Office warned that travel delays throughout the day were very likely, with the risk of fallen trees blocking roads and railways and high winds closing bridges and ferry routes.